Medical malpractice occurs when a doctor acts negligently and someone is seriously injured as a result. It may be because a doctor or other health care provider prescribed the wrong treatment, the wrong medication, or the wrong dose. Wrongful death claims is the general term for cases that involve the death of a person. 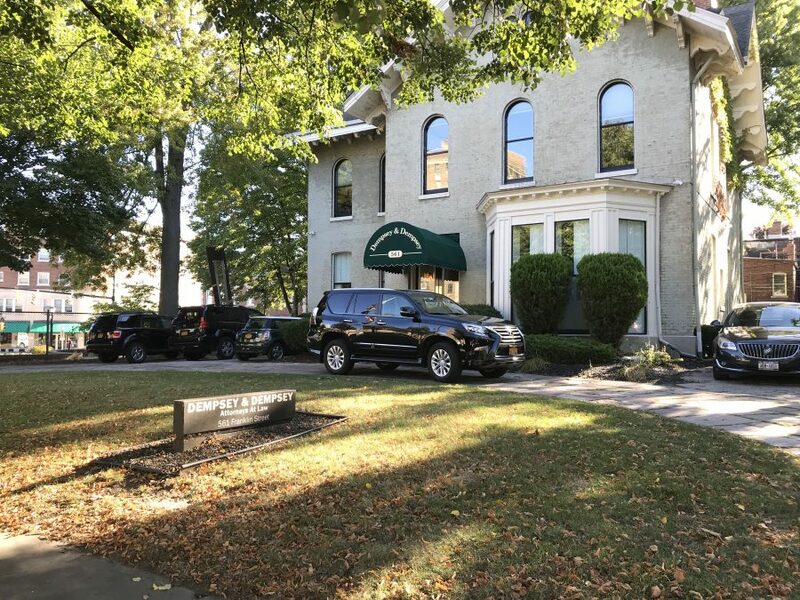 Wrongful death claims are claims brought by either representatives of the estate of a person who was killed as the result of the acts of another or by family members of the deceased person. In the United States the number of drunk driving accidents and deaths has sky-rocketed in recent years. The lives of innocent men, women, and children are being cut short by the reckless and illegal behavior of drunk drivers. A personal injury can be devastating to every aspect of the person’s life. There may be mounting medical bills, lost wages due to inability to work, and always the intangible aspect of pain. You have a right to expect that products you buy will not hurt you or make you ill. Defects can make ordinary products dangerous. Lack of proper warnings can make otherwise safe products hazardous. 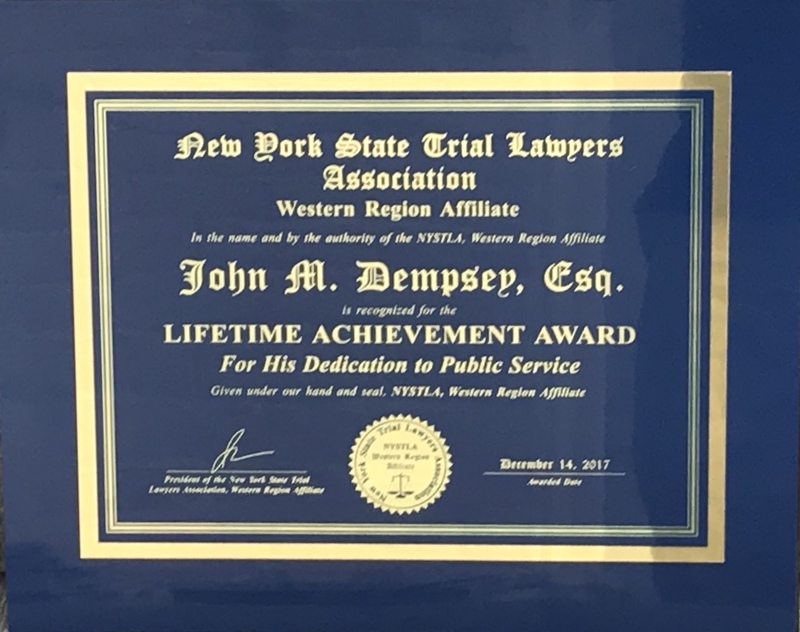 Congratulations to Dempsey & Dempsey’s founding partners, John and Helen Dempsey, for receiving lifetime achievement awards from the New York State Trial Lawyers Western Region Affiliate, on December 14, 2017. 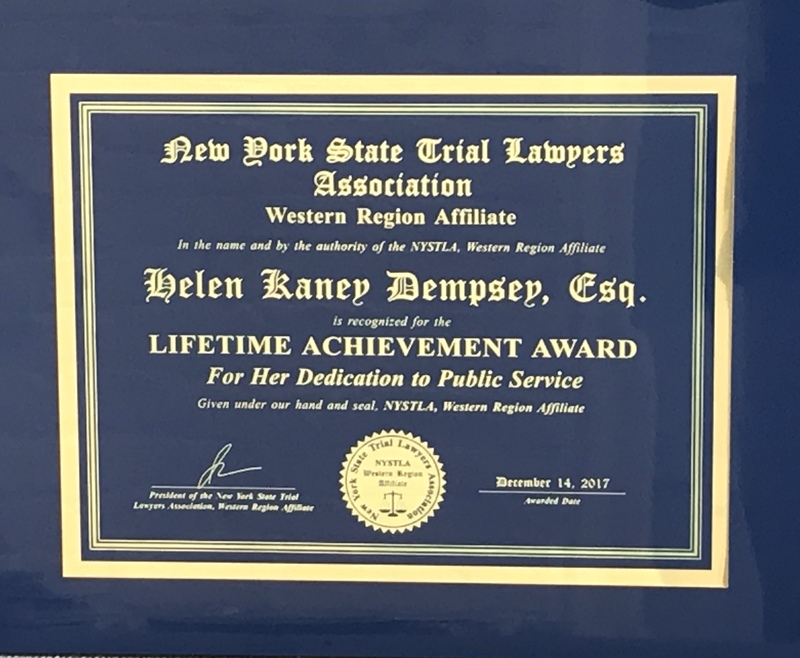 We recognize that each case begins with a personal story which is often tragic. We take the time to listen and build a relationship with our clients and we are passionate about obtaining fair results.